John Bolton won. After a short period of calm and talks between the U.S. and North Korea both sides are again walking towards a conflict. But one important thing changed. History shows that North Korea has always gamed out such talks. It is always prepared to let them fail and it is ready to take the next step whenever that happens. The “new way” may well allude to some new weapon that North Korea is ready to test. Cruise missiles are a possible candidate. Commercial satellite imagery from March 6 of North Korea’s Sohae Satellite Launching Station (Tongchang-ri) indicates construction to rebuild the launch pad and engine test stand that began before the Hanoi Summit has continued at a rapid pace. Given that construction plus activity at other areas of the site, Sohae appears to have returned to normal operational status. 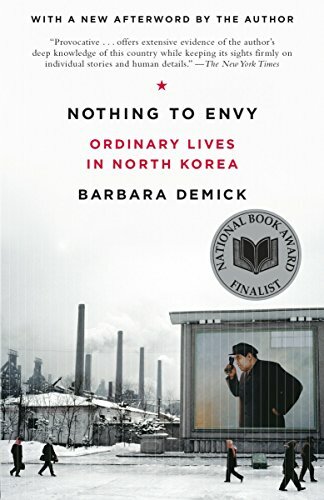 Nothing to Envy: Ordin... Barbara Demick Best Price: $0.79 Buy New $2.18 (as of 10:10 EDT - Details) There are also signs of new activity at the Sanumdong missile factory which produces both, space launchers as well as ballistic missiles. North Korea is pursuing the “rapid rebuilding” of the long-range rocket site at Sohae Launch Facility, according to new commercial imagery and an analysis from the researchers at Beyond Parallel.Sohae Satellite Launching Station, North Korea’s only operational space launch facility, has been used in the past for satellite launches. These launches use similar technology to what is used for intercontinental ballistic missiles. 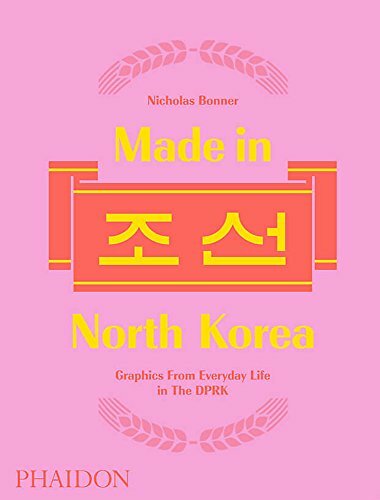 “The activity they are undertaking now is consistent with preparations for a test, though the imagery thus far does not show a missile being moved to the launch pad,” Victor Cha, one of the authors of the report, said. An ICBM requires a short burn-time of the rocket engines in order to minimize gravitational losses and the risk of early interception in boost-phase by anti-ballistic missile (ABM) systems. The typical ICBM rocket motor burn time is about 180-320 seconds.The Unha-3 boost-phase is estimated at to be between 550-570 seconds. Ballistic missiles usually have different motors than space launch vehicles. There are also different structural issues, differences in the control systems, different launch trajectories. See here, here and here. Most significantly ballistic missiles need to reenter the atmosphere to deliver their payload. It is only there that North Korea still has problems using them. Space launch vehicles are unsuitable to test the reentry phase. Moreover the Sohae facility has never been used to launch ballistic missiles. For geographic reasons it is exclusively used for space launches. To understand why North Korea is using this satellite launch to maybe bring the U.S. back to the table we have to go back to the negotiations between the two parties. Before the first summit between Trump and Kim in Singapore both sides agreed that the U.S. would freeze large scale maneuvers in and around Korea while North Korea would stop ballistic missile testing as well as nuclear tests. This ‘freeze for freeze‘ agreement was held up since. Trump recently reconfirmed that no large maneuvers would take place. North Korea would like to keep the ‘freeze for freeze’ agreement alive. A satellite launch is not contrary to that agreement. Unfortunately some U.S. officials, i.e. John Bolton, and North Korea hawks like Victor Cha may well want to use a satellite launch to declare it dead. The first summit ended with a signed Joint Statement, a sequenced four step agreement in which the U.S. promised to lift some sanctions (1) and an end to the state of war (2) while North Korea commited “to work towards complete denuclearization of the Korean Peninsula” (3) and to recover remains of U.S. personal killed during the Korea war (4). Trump had asked for and was granted an additional personal favor. Kim promised Trump to blow up North Korea’s nuclear test tunnels and to dismantle a missile engine test stand. He fulfilled both but is now walking back on the second point. North Korea has the bomb. This is how deterrence works. If Saddam Hussein or Muammar al-Qaddafi had finished their bombs, they’d both likely still be around. With Trump preparing to leave the hotel, North Korean Vice Minister of Foreign Affairs Choe Son-hui hurriedly brought the US delegation a message from Kim, two senior administration officials and a person briefed on the matter said. The message amounted to a last-ditch attempt by the North Koreans to reach a deal on some sanctions relief in exchange for dismantling the Yongbyon nuclear complex.US and North Korean officials had been haggling over a shared definition of the sprawling, three-square-mile [Yongbyon] site and the last-minute overture sought to advance the North Koreans’ proposal for dismantling it. But the message did not make clear whether the North Koreans shared the US’s expansive definition of the facility and US officials asked for clarity. The destruction of the Yongbyon complex in exchange for the lifting of some sanctions would have been a great deal. The U.S. blew it. In a press conference the Foreign Minister of North Korea Ri Yong-ho declared that this was the best deal the U.S. would get. He said North Korea expected “corresponding measures” to be taken by the U.S. in exchange for the destruction of Yongbyon but that the U.S. was unwilling to offer any. “I think about whether (we) should continue talks,” she said, recalling leader Kim Jong-un’s New Year’s message, in which he said his regime will be left with no other choice than pursuing a “different path” to dialogue unless the U.S. takes reciprocal steps. [A]mid the lack of any sign that the U.N. will lift the sanctions, the U.S. has gone too far toward the “reckless assertion” that North Korea should dismantle nuclear and missile facilities, Choe said.She accused the Trump administration of having moved the goal posts, saying it initially talked about dismantling the Yongbyon nuclear complex and is now taking issue with other sites as well. North Korea never promised to stop its space launches. It will soon revive them. The U.S., especially John Bolton and other hawks, will use the upcoming space launch to claim that it is a ‘ballistic missile test’ and that the ‘freeze for freeze’ agreement should thereby end. New large scale maneuvers will be held to train for the invasion of North Korea and the U.S. sanctions regime will be further tightened. A similar situation already occurred in early 2012. Shortly after Kim Jong-un was formally declared North Korea’s new leader, talks between the U.S. and North Korea were held in Beijing. In February, on ‘Leap Day’, the two sides agreed on a deal. North Korea promises a moratorium on nuclear and long range ballistic missile tests in exchange for significant U.S. food supplies. A month later North Korea announces its plans for a space launch. Two weeks later the U.S. stops the promised food supply. In April North Korea attempts to launch a weather satellite. The space launch fails, but the U.S. uses it to ramp up UN pressure against North Korea for its ‘ballistic missile development’. Another satellite launch later that years results in more pressure. In February 2013 North Korea conducted another nuclear test. A repeat of that situation is now highly likely. The U.S. already walked back on the Singapore Statement Trump signed. It did not accept the quite reasonable offer made in Hanoi. It rejects to take “corresponding measures” until North Korea fully denuclearizes which it will never do. The upcoming North Korean space launch will be used by Bolton and others to condemn North Korea for ‘ballistic missile’ testing. The U.S. will probably declare the ‘freeze for freeze’ agreement dead and restart its maneuvers. The North will take “corresponding measures” and restart nuclear and missile tests. U.S. sanctions will further increase. We will be back to the situation of early 2018 when both sides hurled insults against each other and Trump threatened with war. But one important thing will have changed. During the latest round China, Russia and South Korea were on the side of the United States. Now, after North Korea demonstrated that it is reasonable and made good offers to get to a deal, neither China nor Russia will support further sanctions. Indeed China already urges to lift sanctions in response to the “positive will” that North Korea demonstrates. China is North Korea’s biggest trade partner. If it reopens its border to North Korea trade, all U.S. sanctions are in vain. By overreaching with his demands the ‘great deal maker’ Donald Trump will have lost his biggest negotiation asset, the international solidarity that held up the sanctions. History shows that North Korea has always gamed out such talks.